Mixing chocolate with art, chocolatier Kate Burton founded The Cocoa Den in London in 2014, specialising in creative chocolate goodies and unique sweet experiences. From beautifully-crafted chocolates to personalised sweets, sculptures and more, all of The Cocoa Den's products are handmade and decorated by Kate and her talented team. 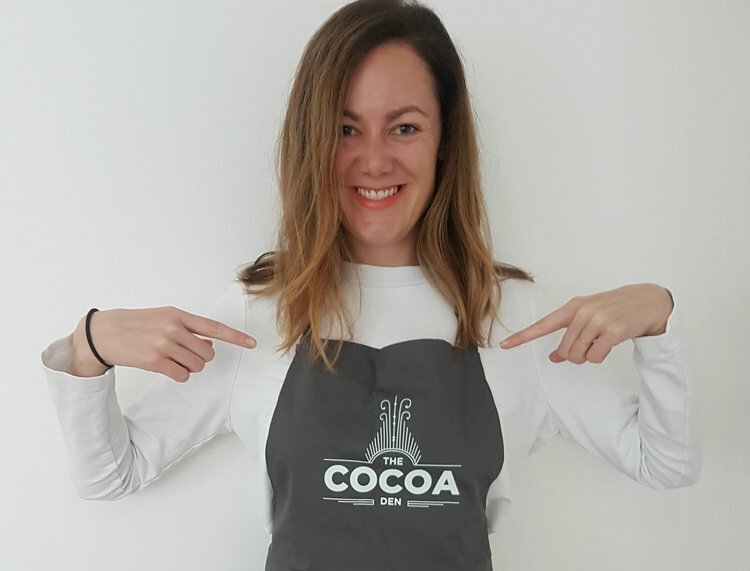 And because Kate knows that nothing brings people together quite like chocolate, The Cocoa Den host delectable pop-ups including chocolate bar decorating, Easter egg decorating and more! The City Pantry team recently sat down with Kate to hear about how her business has evolved, her favourite chocolate products and some of the biggest challenges she's faced. Kate: I wanted to bring together my passion for chocolate and art through unique and creative chocolate products and experiences. Having the time and expertise to do everything (well) that's needed to set up and run a business successfully, from sales and production to marketing & finances and beyond! I developed a passion for working with chocolate over 10 years ago, doing various courses including chocolate cake decorating and chocolate sculpturing. I eventually decided to start the business 4 years ago following positive feedback and encouragement, progressing from market stalls to small distributors and always developing new creative product and flavour ideas. I also started to cater for parties, weddings and corporate events, including interactive chocolate experiences and workshops which are so much fun for everyone involved (me included!). Unique and creative chocolate products and experiences that can be tailored to suit any occasion. Seasonal pop-ups such as Halloween skull or Easter egg decorating. Providing a platform to work with exciting, innovative and passionate people and companies. Very helpful, it makes everything worthwhile when receiving positive feedback but it's also invaluable to receive constructive feedback so the business can continue to evolve & improve. Do it! But to increase the likeliness of getting orders/bookings, make sure that City Pantry truly understand your offering (maybe providing free products/pop-up experience) so they know how to position it to their clients. Thanks for chatting with us Kate! If you want to find out more about organising a Cocoa Den pop-up at your office, simply click the button below and City Pantry will take care of the rest!